The historian David Lowenthal once stated that, ‘in talking about the past we lie with every breath we draw’ (2011: 185). Of course, Lowenthal didn’t mean to imply that historians, archaeologists, anthropologists and other academics who attempt to reach back in time deliberately twist the realities of the past, simply that we cannot hope to comprehend what it was like while we continue to view it through modern (and too often Western) eyes. Indeed, the ‘viewing’ of the past is intrinsically part of the problem. The people of times gone by did not simply ‘view’ events. They were not passive witnesses who allowed life to pass them by, like so many watchers through a worldly window. They, like us, experienced life with all their being; tasting, smelling, touching, seeing and hearing life. Life flows through us, not around us, and this engagement with our surroundings, our landscapes, is part of the existential experience of being human. 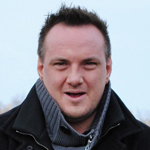 However, as modern-day Westerners, too often our engagement with life is regimented and controlled. Regulations ensure obnoxious smells and piercing sounds are kept distant from our daily lives. Hygiene products such as deodorant, toothpaste, soap, shampoo and washing powder ensure that we present ourselves to each other in an acceptable manner, disguising the natural ‘animal’ smell once associated with all human beings. Not only does this sensorial regulation apply to us personally, it also informs the sanitised landscapes within which we conduct our daily lives. Houses are kept clean with the aid of modern appliances, air fresheners instantly react when someone ventures in front of them and any trace of germs is immediately expunged by a legion of cleaning sprays and disposable wipes. Outside our personal sanctuaries, the pavements and pedestrian precincts are smooth and even, so that they are pleasant to walk on. Shops are brightly lit and warm, enticing us in to purchase their wares. Supermarkets and shopping centres play soothing music and pump appetising odours of fresh coffee and bread through the aisles, making us feel at home, comfortable and malleable. Together, these techniques and consumer products structure our lives in a very ordered manner. So effective is this unseen control that many blind people are able to navigate around public places, guided by their other senses alone (Paterson 2009). Their lack of eyesight is marginalised in these environments demonstrating how much of life is experienced with the senses other than sight. Yet, as Westerners, we would still argue that it is our eyesight that guides us through life, even though the reality is that much of life is not seen; it is heard, felt and experienced with the entire body. This realisation is best understood by exploring what happens when the norm no longer applies. When we find ourselves in an unfamiliar place our sensorial engagement becomes heightened. Every sound, smell and uncomfortable surface that we touch alerts us to potential danger. As Tim Edensor (2007) discusses, we may be able to ‘see’ that an environment is unfamiliar, but it is the processes conducted by the rest of the senses that enables us to navigate strange places without harm. We have the ability to temporarily renegotiate our sensorial arrangement with everyday life in order to protect ourselves, as we instinctively know whether we are in an ‘understood’ environment or one that is alien to us. But what happens when humans are forced to live in a world where the reliance on our senses is reversed? A world where sight becomes next to useless, the sense of smell is a matter of life and death, and sound can distinguish between safety and danger? For this is what happened on the frontlines of the First World War; a new world created by the destructive power of man and his modern technology, a world so unfathomable that reliance for survival on the usual sensorial engagement with everyday life would get you killed. Whenever the No Man’s Land of the Western Front is portrayed in film, or in modern literature it is almost certainly misrepresented. Not for some nefarious purpose, but because as Lowenthal eludes, the only way it could be understood is by actually being there. We may be able to comprehend that the Western Front became a hellish quagmire, a place Das (2005) so succinctly portrays as a ‘slimescape’; a land without form, an environment consisting of mud, rotting flesh, rats the size of cats, dead bodies and the massed materiel of a modern war. We may even be able to see that these slimescapes can also be regarded as mudscapes; something that goes far beyond the physical. These were esoteric landscapes created not only from the detritus and tangible effects of modern industrial war, but also by the addition of the intangible, such as the fallout from competing ideologies, the failure of structured societies, the clash of new and old Imperialistic attitudes, as well as the adoption of technology and industrial might to kill in unprecedented numbers, and all of this backed up by the power of religion and political faith. The Western Front was a world that could not be negotiated by temporarily reordering the operation of our senses, for the ‘temporary’ became a relative term in the hell of the trenches. Rather, the relationship with the environment had to be completely restructured. Life at the Front was spent underground, either in a trench, surrounded by muddy walls and a foreboding, metallic sky, or deeper underground in dugouts, souterraines and tunnel systems. In these locations it was not sight that kept men alive, it was hearing, smell and touch. Soldiers needed to smell the dangers that constantly stalked the trenches, such as the poisonous and corrosive gasses that were often used as a prelude to attacks. The smell of chlorine and mustard gas is distinctive, and once detected there was only a short period of time in which to prepare for its onslaught. The Ijzer Museum in Diksmuide, Belgium allows visitors to sample what these gases smelt like, and once experienced it is not easily forgotten. But these smells had to be filtered out of a smellscape that already contained an overriding stench of death and decaying human material, cordite, annihilated nature and human waste. In contemporary modern cities the smell of deadly gas would have been immediately noticeable, but on the frontlines of the war it was just one more foul odour amidst the permanent, all pervading stench. Underground, in the dark realm of the beast, none of the human senses were capable of detecting another silent killer – carbon monoxide gas. If detected deep within the complex and multi-levelled tunnel systems that silently crept out beneath No Man’s Land, this natural gas could be equally as dangerous as the industrially produced poisons that continually infected the surface defences. 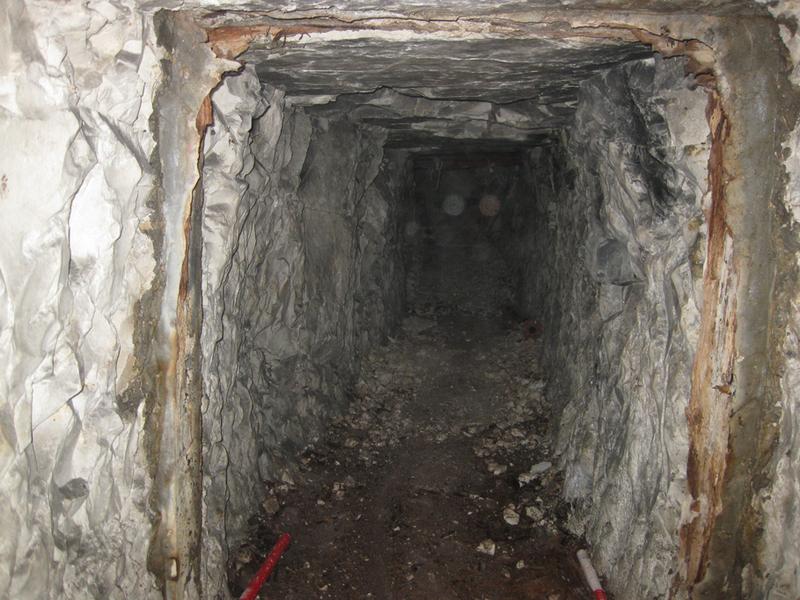 Instead mice or canaries were used to guard against this foe, and in the Copse tunnel system beneath the Loos battlefield, 20m down, deep within the winding second level of a tunnel system, can be found the remains of a gas door, employed to compartmentalise the tunnels, acting as a last line of defence against carbon monoxide in a space whose design stipulated that there was nowhere to run once the small birds or rodents had perished, alerting the men to the odourless killer. Reliance on the other ‘animal’ senses became even more exaggerated underground. Lighting was sparse and the chalk and flint into which many subterranean systems were dug was hard and sharp, requiring a heightened haptic engagement with these subterranean environments. Seeing where weapons and equipment was could be difficult, so knowing their feel and the haptic outline of the environment was of paramount importance. Exquisite control of the interpretation of sound, too, became essential for survival. Soldiers were not only able to tell from the screech of incoming shells exactly where they would land, but also who was firing them and what type of ordnance they were. Underground, hearing became the most important sense of all. Tunnellers, as well as the soldiers who passed through their web-like creations, had to observe strict silence at all times lest they be heard by an enemy that was often close by. 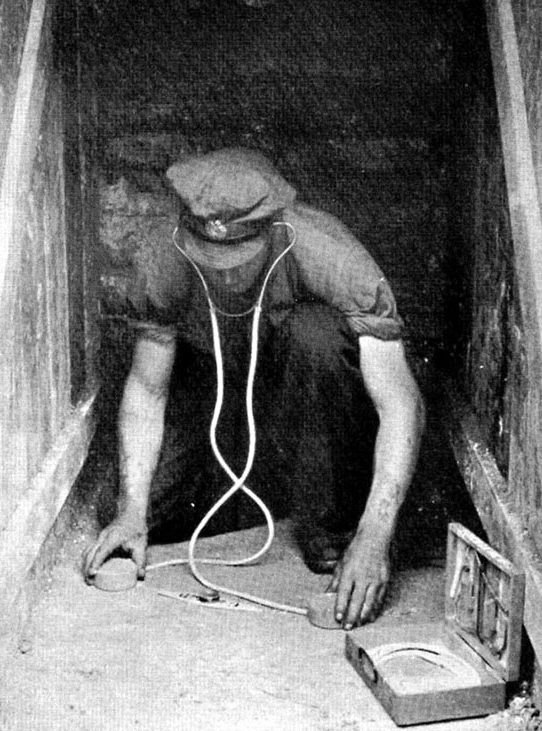 Much effort went into trying to detect the enemy with the use of listening devices such as geophones and many men lost their lives beneath the polluted trench-lines through a lack of respect for the distance and clarity with which sound can travel through the earth. It is this relationship with sound that so graphically displays how the war changed man’s sensorial engagement with his environment. The Frontlines would have been a cacophony of noise as the deafening sound of artillery rounds mixed with the staccato sound of rifle and machine gun fire, not to mention the screams of the wounded and dying, saturated the air. In modern, everyday life this noise would have been intolerable, but on the Frontlines it was not only the norm, it also meant relative safety. It was only when the artillery barrages ceased that the fear mounted, for it usually signalled the start of an attack. 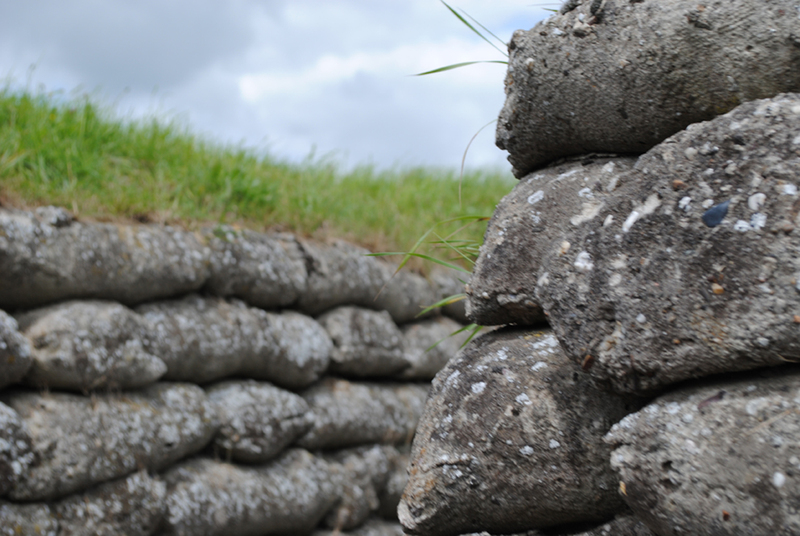 Peace and quiet became deadly, and barrages of terrifying noise represented relative safety – survival at the front necessitated not only a reconstruction of the relevance of sound, but also the lack of it. This reordering of the way in which men engaged with their world in turn created a new society. A society inhabited by a conflict culture that was unique to the time and space of the conflict. It was a culture that developed an abstruse relationship with a strange new world, an entity which was no less incomprehensible itself. The sensorial engagement that this conflict culture developed with its environment had more in common with the way in which animals engage with their landscapes than the way in which human beings do. As Constance Classen (2005: 161) noted, ‘the way a society senses is the way it understands’ and without man’s ability to renegotiate his sensorial engagement with the landscapes of the Front, which in turn created a conflict culture that understood this deadly environment, many more would not have survived the deathscapes of the Western Front. Classen, C. (2005). McLuhan in the Rainforest: The Sensory Worlds of Oral Cultures. In D, Howes. (ed). Empire Of The Senses, pp 147-163. New York: Berg. Das, S. (2005). Touch and Intimacy in First World War Literature. Cambridge. Cambridge: University Press. Edensor, T. (2007). Sensing The Ruin. Sense and Society. Vol 2, Iss 2, pp 217-232. Lowenthal, D. (2011). The Past is a Foreign Country. Cambridge: Cambridge University Press. Paterson, M (2009). Haptic Geographies: Ethnography, Haptic Knowledges and Sensuous Dispositions. Progress in Human Geography, 33 (6), pp 766-788. This entry was posted in Body and Mind, From Space to Place and tagged 900 (History & geography), Blogs. Bookmark the permalink.